The thieves have taken 3,600 Apple iPad Minis from the exact same warehouse that the Goodfellas Lufthansa heist took place in. Two unscrupulous individuals walked through street side security into a JFK Airport warehouse on Oct 12 and used an airport forklift to steal two pallets of iPad Minis, netting 3,600 tablets at a total value of $1.5 million. Just before midnight the thieves drove up in a white tractor trailer and somehow gained access to the building, bypassing security. The current theory is that someone let them in and out. Then, they just calmly loaded up a few thousand iPads. When they were questioned by an airport worker coming back from dinner, they drove off, leaving three pallets of iPads behind. The thieves are still at large. The police suspect an inside job, and have been administering polygraph tests to warehouse workers. What makes the mafia style theft most notable, however, is that it took place in the exact same warehouse that the infamous 1978 Lufthansa heist took place in. 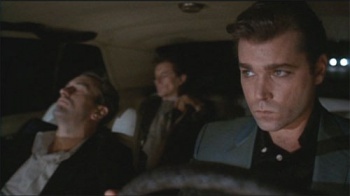 That's the heist featured as the center of the movie Goodfellas. At the time, it was considered the largest robbery of cash in American history. It was allegedly perpetrated by Jimmy the Gent, who apparently got away with it by allegedly having nearly all his co-thieves killed. The Lufthansa heist, adjusted for inflation, took in about $21 million of cash and jewels. That heist was perpetrated as an inside job, involving the cooperation of an airport worker, similar to how police think the iPad heist went down. The upshot of this whole thing? It looks like folks buying iPad Minis in parking lots in the next few months might actually get what they're looking for, instead of, you know, a mirror or a block of wood.